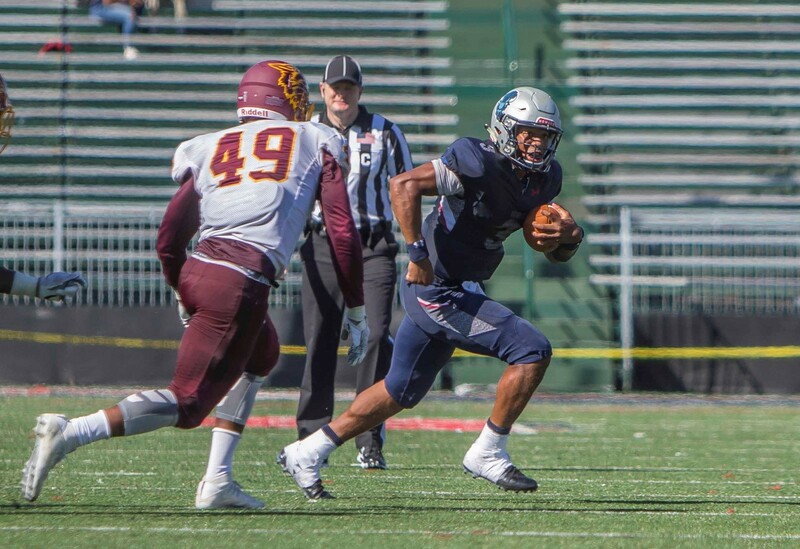 Caylin Newton was back to his heroic adventures on Saturday as Howard (2-2) beat Bethune-Cookman (1-3) in D.C. 26-24. Bethune-Cookman had a four-point lead throughout the fourth quarter until Newton scrambled in for the winning touchdown with 39 seconds remaining. Howard had a better late than never attitude all day long, scoring a touchdown with just three seconds left in the first half to tie the game at 14. It was Newton again, this time finding Anthony Philyaw for a 5-yard touchdown. Howard put together a nine play 74-yard drive to start the third quarter, ending with Newton scoring on a one-yard run. A try at a two-point conversion failed, leaving the Bison with a six-point lead. Bethune-Cookman responded with a Que’shaun Byrd 24-yard touchdown to retake the lead at 21-20. Just before the end of the quarter, the Wildcats padded the lead with a field goal. The fourth quarter was on track to be a goose egg for both teams until Howard got the ball back with 3:14 remaining in the game. After back to back incompletions on second and third downs, Howard was staring at a 4th and 6 play. Newton picked up the first down on a rush to keep the drive alive at the Bethune 35-yard line. Six plays later Newton scrambled in for the game-winner. Larry Brihm had 185 yards passing for Bethune-Cookman on 28 attempts. Newton nearly rushed for more yards than he threw for, picking up 140 on the ground and 157 in the air. Howard has a bye next week before returning to action at home against North Carolina Central on October 7th. Bethune-Cookman is at home next weekend against Savannah State.